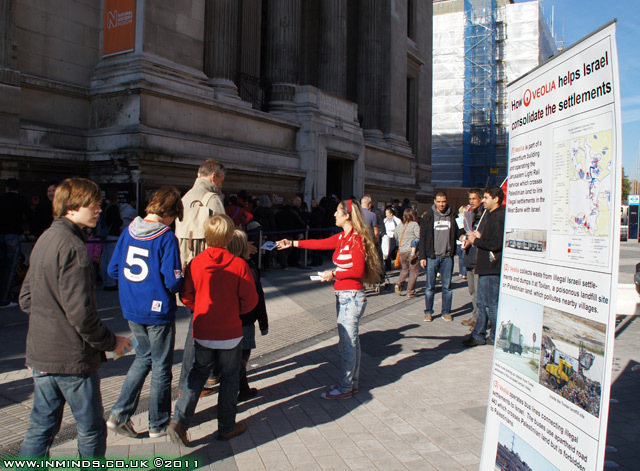 Over 25 human rights activists demonstrated outside the Natural History Museum (NHM) on Saturday 22nd October 2011 to protest against Veolia's sponsorship of the Wildlife Photographer of the Year Exhibition at the Natural History Museum. 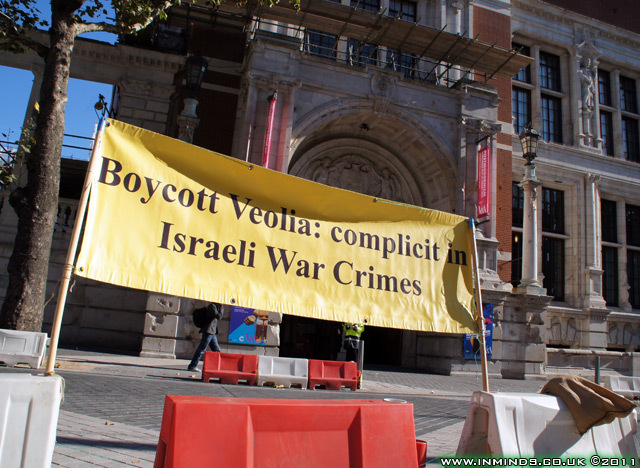 The French multinational company Veolia is complicit in Israels occupation of the West Bank. 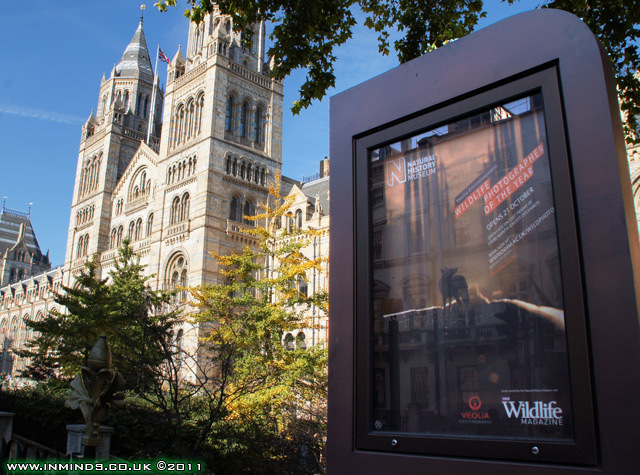 Its the third year running that the Natural History Museum has chosen Veolia as the sponsor for this prestigious competition and exhibition. 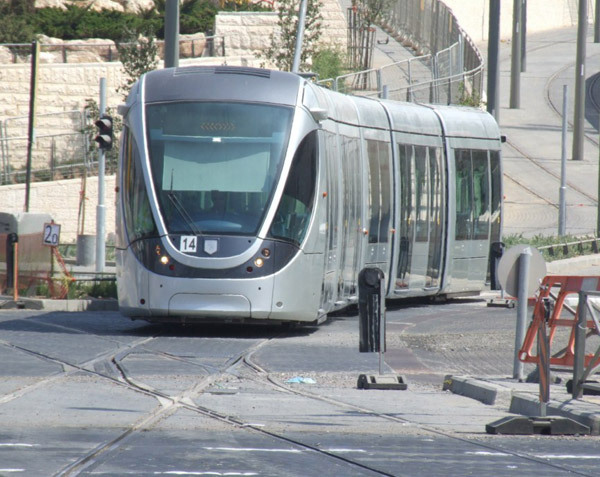 Veolia has helped build and operate the Jerusalem light railway, a tram-line running through Palestinian land linking illegal settlements to Israel thereby helping Israel consolidate its occupation of Palestinian land. 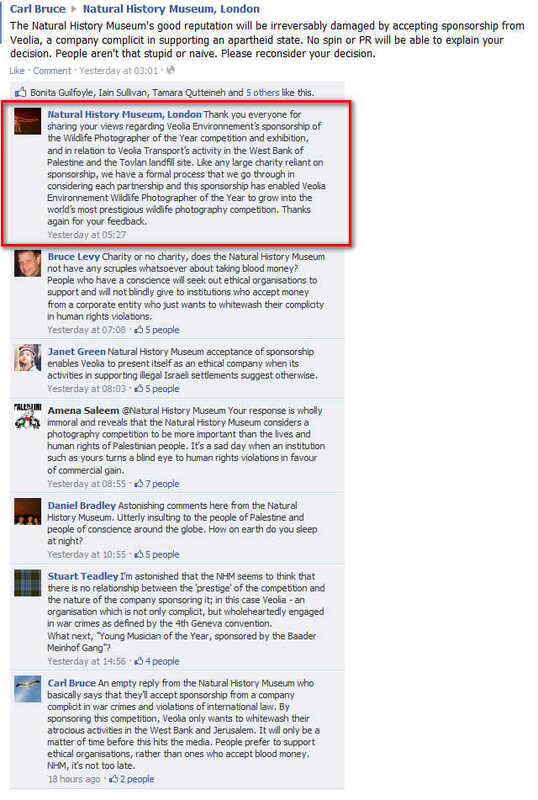 In April 2010 the UN Human Rights Council declared the tramway and its operation to be illegal (A/HRC/RES/13/7 of 14 April 2010). The resolution was passed 44 to 1, with the UK, France and all the EU members of the Council voting in favour. Veolia runs the Tovlan landfill site in the Occupied Jordan Valley where toxic waste from Israel and the settlements is dumped. 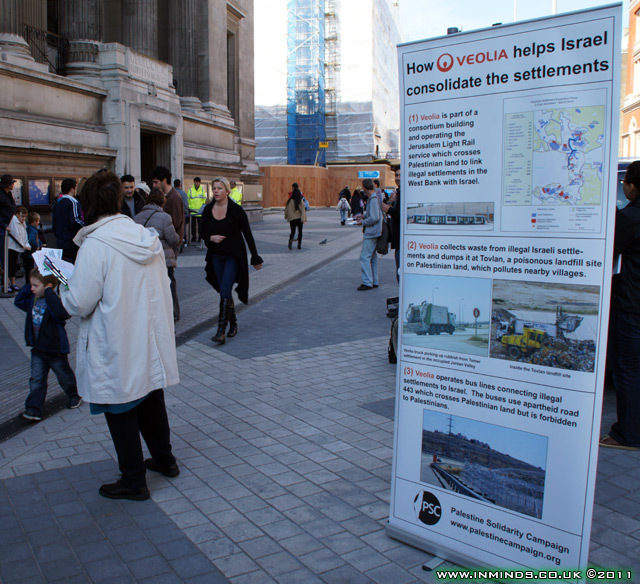 Veolia also provides rubbish collection services to numerous settlements in the area. Recently Veolia has compounded its crime by selling the Tovlan site to an illegal settlement whilst staying on in an advisory role. 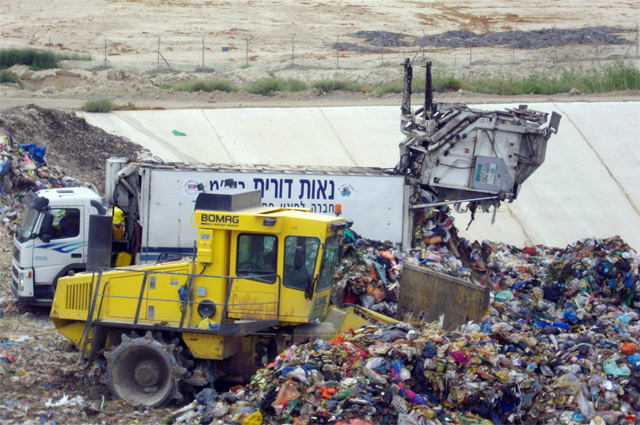 The Tovlan dumping site is located next to the Palestinian village of Abu Ajaj. Due to the proximity of the site people in the village suffer from breathing difficulties and their animals now live shorter lives and an increase in stillborn babies has been recorded. 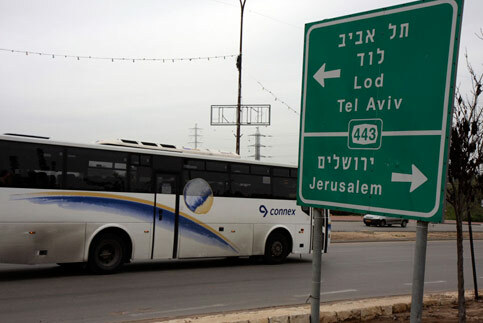 Veolia’s subsidiary, Connex, operates regular bus services linking Israel to its illegal settlements in the West Bank. These include Giv’at Ze’ev, Har Shmuel and Mevo Horonalong along the apartheid road 443 which until recently Palestinians were totally forbidden from using, and even now access is severally restricted. 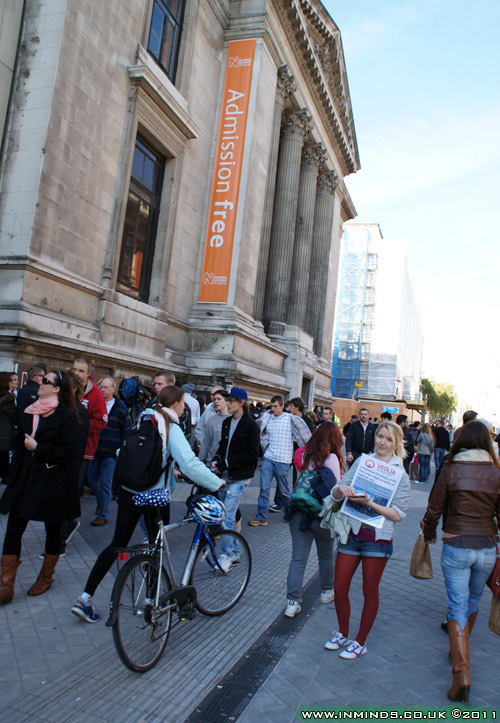 The protest was held on Exhibition Road which has just been pedestrianised. 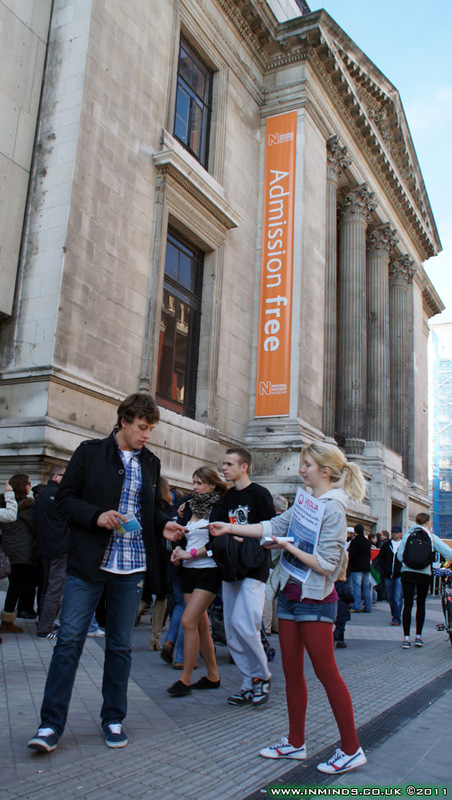 Apart from its adjacency to the Natural History Museum it also features the entrance to the Science Museum and the Victoria and Albert Museum (and the Geological Museum which is now part of the Natural History Museum), making it an ideal spot to engage with the public. Around 25 activists from various groups including the Bin Veolia campaign. 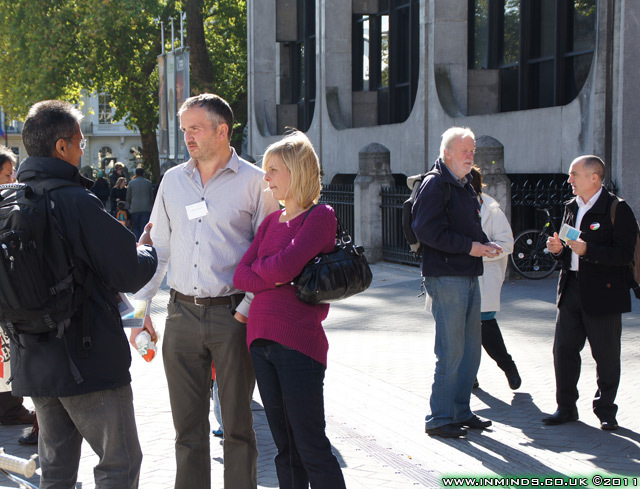 London BDS, local branches of PSC, etc. participated in the protest. 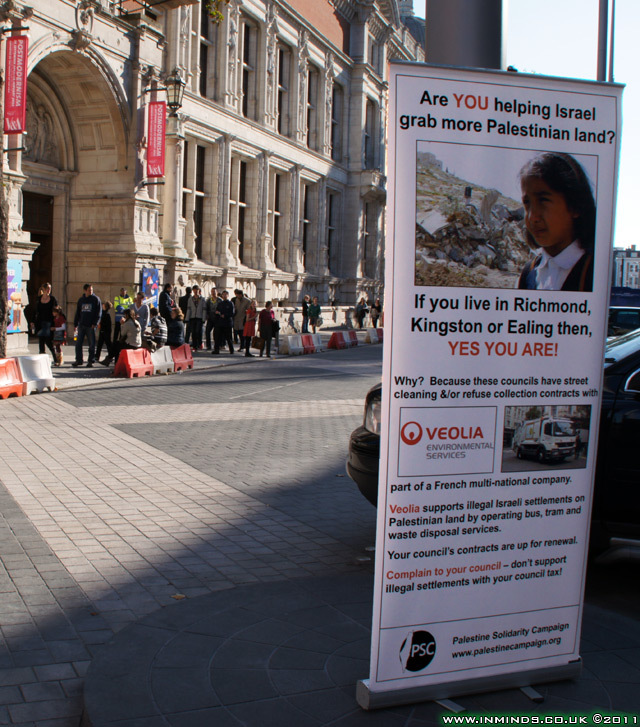 Large roll up stands with detailed information of Veolia's activity in Palestine were set up and colourful postcards with the facts about Veolia were handed out. 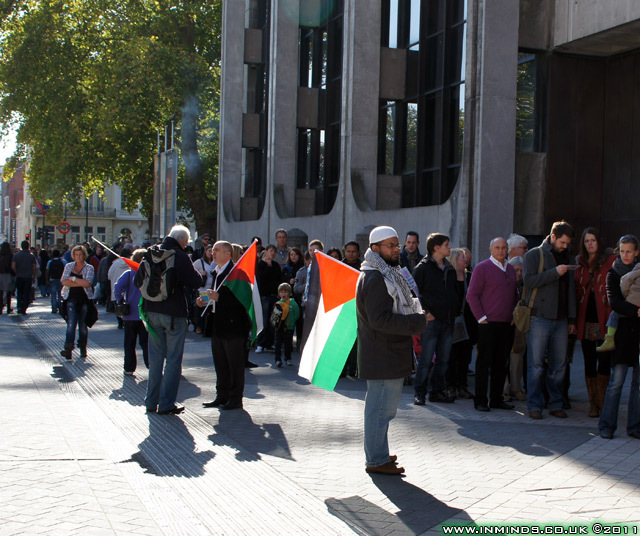 Palestinian flags were raised so people could quickly identify what the protest was about. 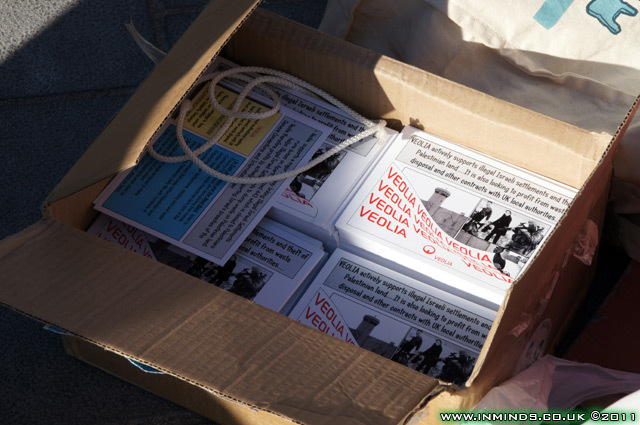 Activists from the Bin Veolia campaign also carried petitions asking residents to sign demanding their local authority doesn't award Veolia any contracts. "complements our commitment to both the environment and biodiversity, and demonstrates our willingness to support sustainable development across the planet. It also embodies our corporate values, including the preservation of natural resources and the very real need to inspire and educate people of all ages.."
When does 'commitment to the environment and the preservation of natural resources' mean its okay to help ethnically cleanse an indigenous population? 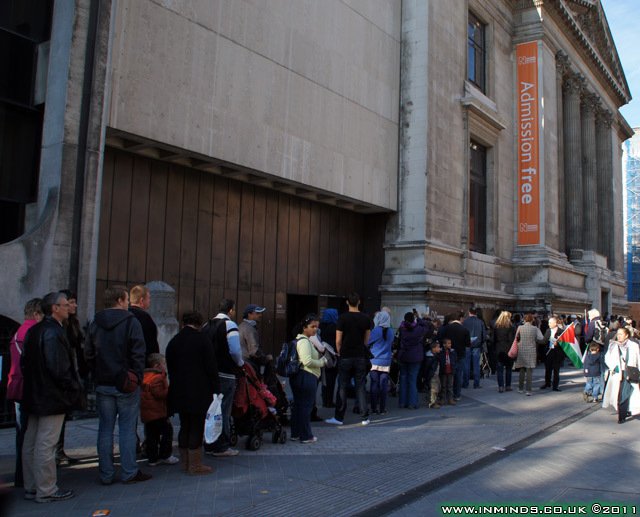 from Israel's illegal occupation of Palestinian land.."
Many visitors to the NHM who are shocked with its collaboration with Veolia used the Museums feedback forms to voice their disappointment and demand an explanation from the NHM. 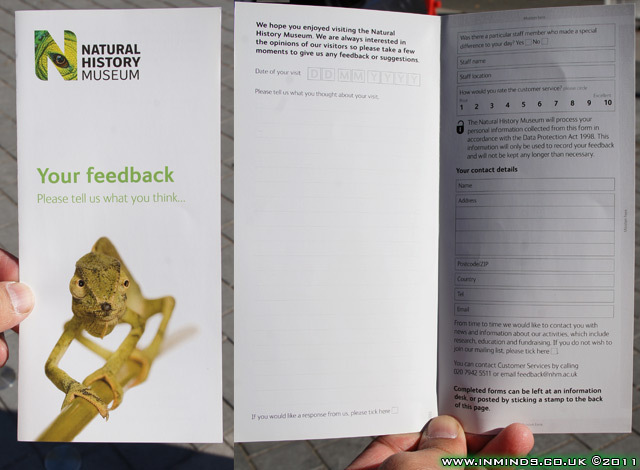 The form has a box for "Please tell us what you thought about your vist" and a tick box labeled "If you would like a response from us please tick here". By the end of the two hour protest around 1000 information cards had been distributed, which averages to each activist handing out a card every 3 minutes! 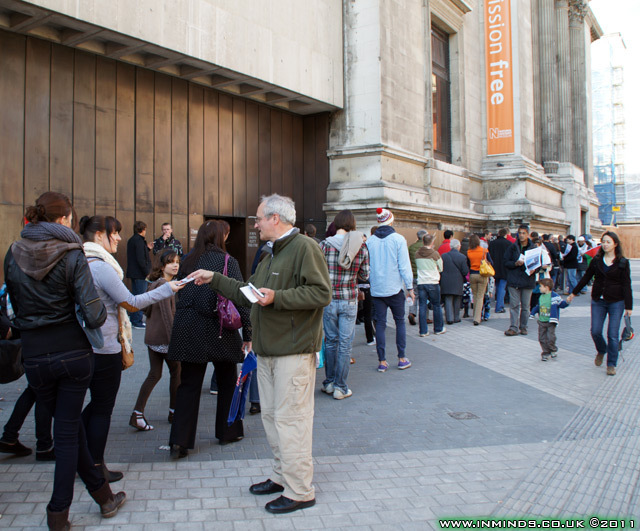 Following a deluge of complaints on their facebook page regarding the Veolia sponsorship, the Natural History Museum posted an incredulous reply simply suggesting they knew full well of Veolia's crimes in Palestine having gone through a "formal process" of "considering the partnership" but all they cared about was the money they received from Veolia which helped them grow the competition in to the "world’s most prestigious wildlife photography competition"! 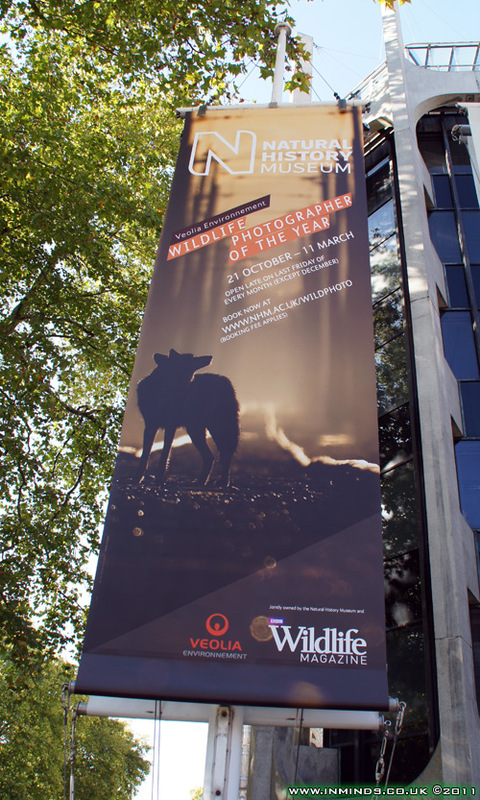 "Thank you everyone for sharing your views regarding Veolia Environnement’s sponsorship of the Wildlife Photographer of the Year competition and exhibition, and in relation to Veolia Transport’s activity in the West Bank of Palestine and the Tovlan landfill site. Like any large charity reliant on sponsorship, we have a formal process that we go through in considering each partnership and this sponsorship has enabled Veolia Environnement Wildlife Photographer of the Year to grow into the world’s most prestigious wildlife photography competition. Thanks again for your feedback." Natural History Museum is conducting research in close collaboration with Ahava Dead Sea Laboratories, an Israeli cosmetics company partly owned by and located in the illegal Israeli settlement of Mitzpe Shalem, deep in occupied Palestinian territory. 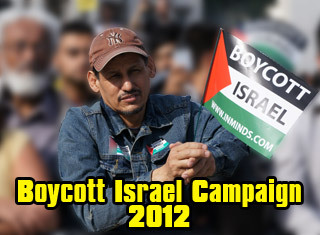 Ahava profits from, and helps to maintain, Israeli violations of international law. King’s College London is involved in a research project with Ahava Dead Sea Laboratories. Ahava is a commercial company located in the illegal Israeli settlement of Mitzpe Shalem, and is also partly owned by the council of this illegal settlement, located approximately 10km inside occupied Palestinian territory in the West Bank. Israeli settlements are illegal under rulings of the International Court of Justice, UN resolution 446, the Fourth Geneva Convention, and, overwhelmingly, the international community, including the EU and the UK. Since the settlement of Mitzpe Shalem is illegal, Ahava is essentially stealing what should be resources available for use by the Palestinians inside the West Bank. By accruing profits from, and sustaining itself on, an illegal settlement, Ahava is complicit in violations of international law. Recently, the University of London Union (ULU) overwhelmingly passed a motion condemning the collaboration between King’s and Ahava, and supporting the student campaign launched by students and staff at the university, with 9 votes for, 0 against, and 3 abstentions. By collaborating with Ahava, King’s itself has become complicit with violations of international law, consenting to the company’s position in relation to the illegal settlement and its theft of resources. It is unacceptable and self-defeating for an academic institution with such a high reputation, that lays emphasis on community service and wellbeing, to lend legitimacy to, and actively work with, an entity that owes its current state of existence to violations of international law. 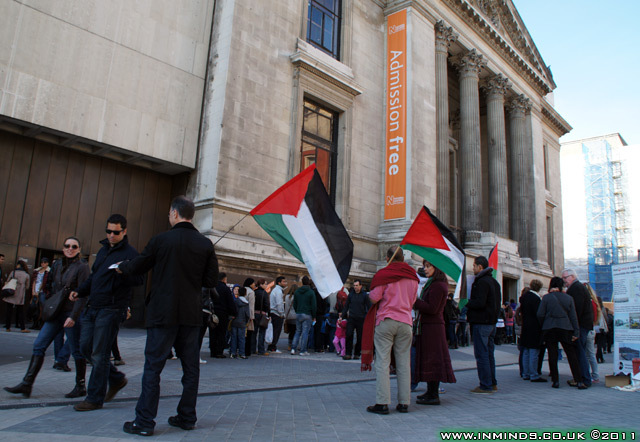 To condemn the collaboration between King’s College London and Ahava in the research project, and demand the immediate end of the university’s involvement in the project, and the rejection of the financial grant King’s has received for its participation. To strongly urge King’s College London to re-evaluate its commitments to ethical research, and establish a formal ethical research policy, to prevent a similar situation from arising in the future that compromises the university’s integrity and respect for international law. To support the campaign led by academics and students at King’s, in order to achieve the above aims. As the BDS campaign begins to bite Veloia has lost some very prominent tenders costing the company billions. At the beginning of August 2011 it was announced that Ealing Council in London had failed to select Veolia for a comprehensive tender for its domestic refuse, street cleaning and parks maintenance contract. The contract is worth approx £300m in total over 15 years and one of Ealing Council’s largest single contracts. At the start of August Veolia, the world's biggest listed water utility, announced it's quitting half of the 77 countries where it does business due to financial difficulties. Students at Cambridge have voted to call on the University to cut ties with a company implicated in Israeli human rights abuses. 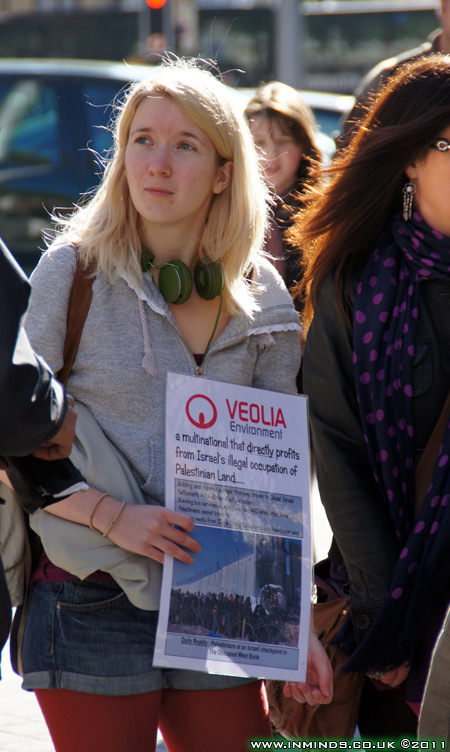 The vote calls on CUSU (Cambridge University Students Union) to campaign to have the University cut ties with Veolia, a company involved in infrastructure projects in Israeli settlements, and employed by the University on a waste disposal contract. The referendum, which closed yesterday, passed with a majority of 58% to 41%: there were 898 votes yes, 637 votes no, and 21 ballots spoilt. While a strong majority was in support, the referendum was inquorate: 7.2% of the student body voted, short of the 10% required. 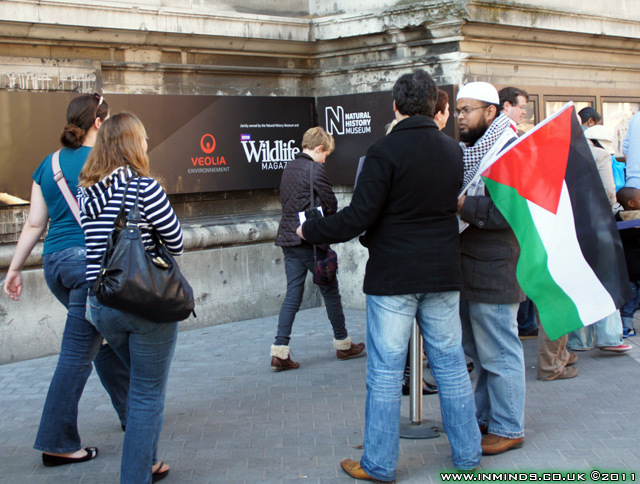 Students involved in the campaign pledged to continue the campaign to ensure that Veolia’s contract, which expires in September 2012, is not renewed..
"Veolia, is.. to build a light railway system linking Israel to illegal settl1ements.. in contravention of international law. 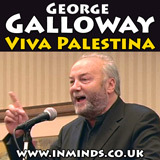 This Council therefore calls on the Leader & Chief Executive not to sign or allow to be signed any new contracts or renewal of any existing contracts with Veolia"
IDF Military contractor Electronics Corporation of Israel (ECI) Telecom, with its 45 year history with the IDF, has been awarded a $800 million contract by British Telecom, the largest in ECI's history.